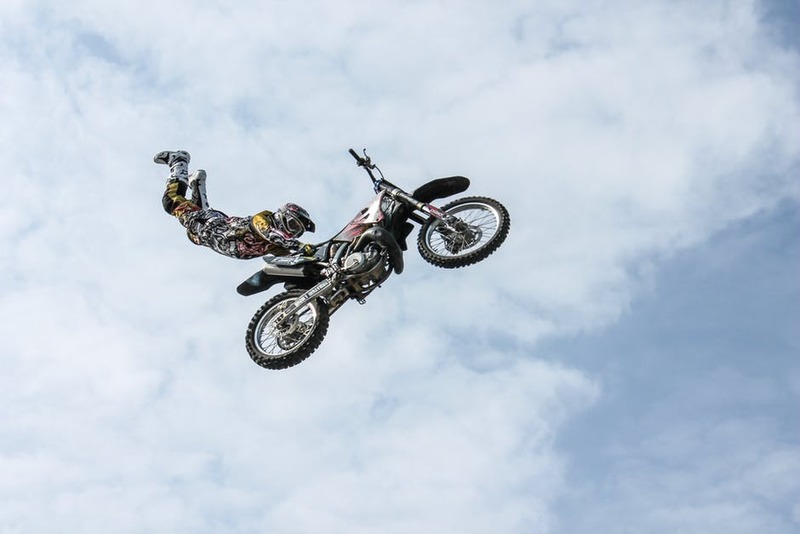 As fun as they can be to ride, motorcycles can also be unpredictable, even to the most experienced of riders. Because of the risk involved, ensuring you have the right gear before you set out on a journey is essential in ensuring you are protected. Motorcycle helmets are a legal requirement if you want to ride a motorcycle, and can be vital to your survival if you find yourself involved in an accident. It is better to buy a helmet new as you can guarantee that it will be safer. Make sure the fit is right – try on your preferred helmet and make sure it fits snugly around your cheeks and hug your head (but not too tightly), make sure it doesn’t feel loose as this will not offer much protection during a crash. Check your straps – once you’ve found one that fits your head, make sure that you can comfortably adjust the chin strap so that it fits securely, and be sure to check your straps before each journey just in case they feel slightly looser during a ride. Stay SHARP – the SHARP rating system helps to group helmets by how much protection they offer, ranging from 1 to 5 stars on a scale of how much protection they offer in case of an impact. Check your anti-glare – goggles and visors are available to help reduce glare caused by sunlight, and will often be labelled as ‘for use in daylight hours only’, you must ensure that these are clean before you set off on your journey, especially during periods of strong sunlight. Buy a helmet bag for safe storage – helmet bags can help provide protection against the elements and also stop the visor getting scratched. Some helmets may also come with airbags built into the neck; these are designed to react in case of a crash to provide extra protection for the rider, so can be worth looking at when shopping around for a helmet. No matter what the size of the bike is, a biker’s jacket and trousers will always be an important part of their attire, for should you come off your bike, you need to ensure that you’re not going to be cut up too much after a slide across the tarmac. Leather clothing should be thick enough to provide protection, even including built-in body armour and additional padding in the elbows, knees, and hips, and should also be comfortable to wear and flexible enough to move during a ride without coming loose. If you don’t like leather or are looking for something lighter to wear in the summer months, there are other materials – such as Cordura – which are hard wearing, waterproof, and extremely durable, providing protection all year round. When choosing a riding attire, try before you buy, and ensure that the garments cover every inch of your body. If possible, try on the clothing new and then check your position on your bike for comfort and flexibility. Like your boots, some articles of clothing will take a little bit of wearing to get them comfortably flexing. Make sure your jacket and trousers fit comfortably before you ride, check the stitching and general condition regularly and be sure to replace if you find any tears in the material. Check the weather – there are gloves available for both summer and winter conditions, and it’s important that you have a set of both so you can adjust depending on the conditions outside. Summer gloves will be sturdy but still lightweight, while winter gloves will have a thermal lining to protect against the cold, as well as being tough on the outside to prevent scraping. Make sure they fit correctly – they should be snug on your fingers but still allow you to bend your fingers comfortably, allowing you to operate the controls on your handlebars comfortably. Check the strapping – ensure that your gloves are comfortably strapped around your wrist and are not coming loose as you ride. Ensure they are comfortable and in excellent condition – check the stitching on your gloves after you’ve owned a pair for a while, and replace them if you notice any tears in the leather. Is it a comfortable fit? – bear in mind that new boots are likely to rub as your foot adjusts to them, so make sure you wear thick socks as well to protect your feet against uncomfortable rubbing and chafing. Do they cover my ankles? – go for a boot that is both durable but that also covers over your ankles, how long you want to go depends on your comfort level. Ensure that you can comfortably zip the boots up, so they don’t let in water or come loose during a ride. Are the soles thick enough? – the sole of your boot should be both thick and non-slip, this can help ensure that it helps you to brace yourself should you need to put your foot down during a ride. While it’s important to be well covered and protected, being seen is also important, so consider articles of clothing that have reflective strips built in, and ensure that you have some form of high-visibility clothing when you ride, especially at night. By ensuring that your motorcycle attire is comfortable and protective, you can ride safely in the knowledge that, should anything happen during your ride, you will be well protected to reduce the risk of injury.